Vehicle to grid systems enable the development of a two-way flow system between the grid and grid-able vehicles such as battery electric vehicles and plug-in hybrid electric vehicles, wherein the battery power of electric vehicles is used to feed grids during peak electricity demands. The global market for vehicle to grid is expanding at an enormous pace and is expected to continue to witness a healthy upward trajectory in the next few years. With increased focus on the development of grid infrastructure globally, making it capable of sourcing decentralized power from a number of new power generation mediums, and the introduction of smart grids, the market for vehicle to grid is also expected to expand at a promising pace in the next few years. The market is also expected to benefit from the increased encouragement to the uptake of electric vehicles owing to their environment-friendly nature. To promote the adoption of electric vehicles, governments across the globe are investing in the development of vehicle battery charging infrastructure. Rising focus on the development of alternative power generation technologies so as to reduce the reliance of the power sector on fossil fuels and the integration of these power sources with grid could also foster the global vehicle to grid market in the next few years. The report presents detailed analysis of key market segments and their state in key regional markets across the globe. The market has been segmented for the scope of the report on the basis of criteria such as technology and geography. Based on technology, the market has been segmented into software and power electronics. 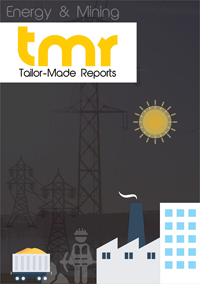 Of these, the segment of power electronics presently dominates the market in terms of revenue contribution to the global market. This can be chiefly attributed to the high cost of the technology. From a geographical standpoint, the vehicle to grid market has been covered for regions such as North America, Europe, Asia Pacific, Middle East and Africa, and Latin America. Presently the market in North America accounts for the dominant share in global revenue, with the U.S. playing a key role in the overall demand served from the region. The regional market is also expected to remain the most promising and lucrative over the report’s forecast period, thanks to the rising investments aimed at the development of vehicle to grid infrastructure, especially in the U.S. Moreover, a massive rise in government policies encouraging the increased sales of plug-in hybrid electric vehicles and battery electric vehicles will continue to make the region a strong contender in the global vehicle to grid market. Owing to its embryonic stage of development, the global vehicle to grid market features only a handful of companies accounting collectively for significant shares in the overall market. The market is expected to witness the entry of new companies in the next few years as the technology starts gaining prominence and technological advancements in solutions bring new consumers. Needless to say, early entrants have an added advantage owing to less competition amid surging growth opportunities. Some of the leading companies in the market are AutoPort, Hitachi, AC Propulsion, DENSO, CORITECH, Kisensum, Boulder Electric Vehicle, Daimler, Honda, Mitsubishi Motors, Ford Motor Company, Nissan, and Tesla Motors.